Nearly three-quarters of patients diagnosed with cancer in A&E had previously seen their GP with related symptoms, according to research. The study found 71% of those diagnosed as an emergency had previously spoken to their doctor about an issue related to their eventual cancer diagnosis. The new study involved academics from University College London, the University of Cambridge and Public Health England. 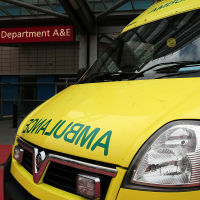 Statistics concerning 4,637 patients diagnosed in A&E were used. One in four people who had seen their GP before being diagnosed in A&E had spoken to a doctor three or more times. Around two-thirds had only been once or twice. Experts said these patients had in some cases lung cancer or other hard-to-spot variants of the disease. People who have survived cancer can arrange specialist medical travel insurance for holidays and overseas travel. Spokespeople from some of the UK's biggest cancer charities expressed concern at the findings. Samia al Qadhi, chief executive of Breast Cancer Care, said: "We speak to women and men who tell us how incredibly distressing it is not to be taken seriously when they've found a possible symptom." Judith Brodie, acting chief executive of Beating Bowel Cancer, said the fact that 41% of bowel cancer patients diagnosed in A&E had seen their GP three or more times was "concerning".